dox42 is an extensive software package for document automation and data integration – flexible, powerful and intuitive. dox42 enables you to generate complex documents automatically and to integrate data from various sources, such as images, tables, dynamic charts, QR-codes, whole documents and much more. Using dox42 Office Add-Ins makes it possible to design templates in up-to-date and uniform corporate design flexibly and without any programming. The dox42 Server can be integrated in websites, applications, CRM-systems and workflows seamlessly. dox42 GmbH, based in Vienna, Austria, is Microsoft Gold Certified Partner and Nintex Technology Partner. 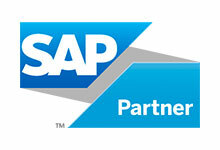 The technology partnership with Theobald Software makes it possible to integrate SAP data with dox42, thereby enabling to automatically generate documents with SAP data. What is more, data from further systems, such as SharePoint, databases or CRM-systems, can be integrated as well. Currently, dox42 is in use in the following sectors: public administration, financial services, inspection, test and certification, travel services, insurance, energy supply and software producers. Examples include: Energie Allianz Austria GmbH, VAV Versicherungen AG, Swiss Canton Solothurn, Government of the Principality of Liechtenstein, Verkehrsbüro Group and Microsoft.